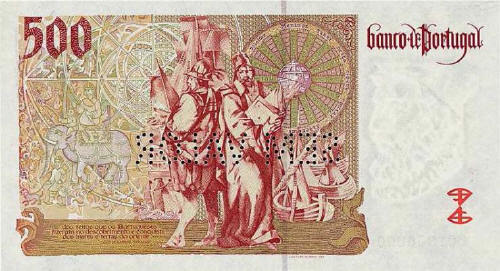 In this page I present to you the former Lisbon banknotes. 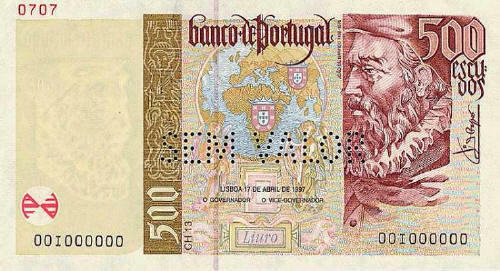 When the Euro was introduced, in Portugal there were five different banknotes in circulation. 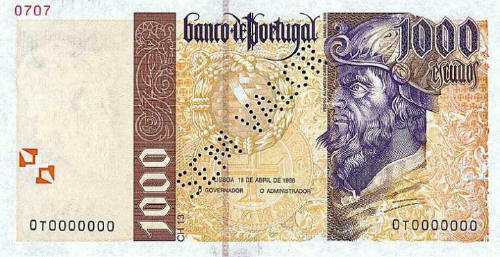 I remind you that here in Portugal the thousand symbol is the dot (.). So, this means that 1.000 equals one thousand. 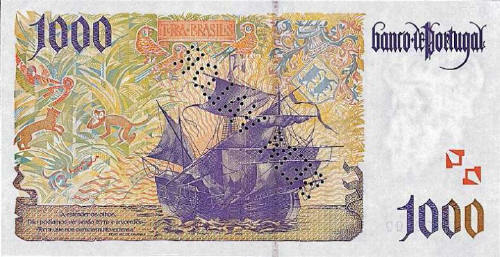 On the front side of the banknote you can appreciate João de Barros. 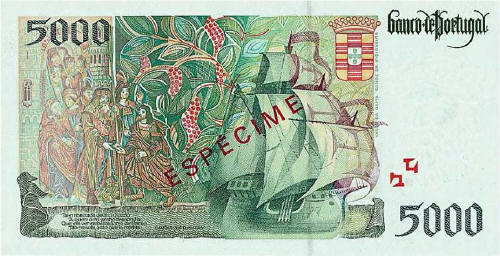 On the front side of the banknote you can appreciate Pedro Álvares Cabral. On the front side of the banknote you can appreciate Bartolomeu Dias. 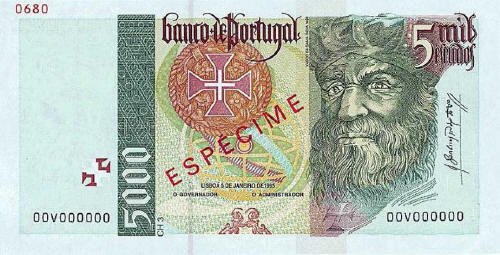 On the front side of the banknote you can appreciate Vasco da Gama. On the front side of the banknote you can appreciate Infante Dom Henrique.